Lafayette received the last official approval it needed for the start of construction on phase one of its expansion plan—the mixed-use residence hall on McCartney Street. 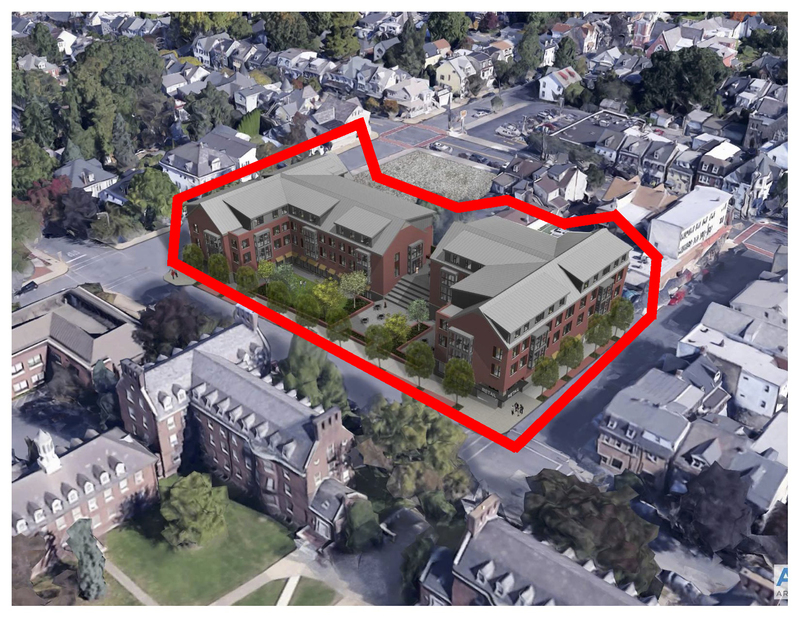 The Easton Planning Commission voted four to one to approve of the college’s land development plan on Wednesday night. In November, the college received preliminary approval for the plans from the commission, contingent on meeting 19 conditions in their final land development plan. After the settlement of a lawsuit between Easton and four residents last week, the college announced that construction would begin this spring. Commission chair Charles Elliot described the 19 conditions as “technical and engineering comments.” Some included confirming the number of street lights in the project, setup of storm management systems and ensuring the college complies with federal regulations of demolition projects in neighborhoods on the National Register of Historic Places, as College Hill is on it. Another main condition Elliot emphasized with the preliminary approval in November was that the college apply to city council for signage on McCartney St. that clearly states the parking restrictions for students under the revised ordinance. With a lawsuit challenging zoning laws settled and preliminary approval already granted, the college expected this vote to pass going into the meeting, President Alison Byerly said. The altered zoning ordinances “are now beyond period where anyone could challenge it,” said planning commission member Bill Carr during the meeting. Still, this is the end of a two-and-a-half-year saga that saw the college scrap plans for one of their buildings in phase one—a 50-resident building that would’ve been located on the corner of Cattell Street and High Street across from Wawa. Those beds will be added on to future phases of expansion, which will add a total of about 400 students to the population. The properties from 203 McCartney St. to 233 McCartney St. will be demolished in phase one this spring. 517 March St., home to Lafayette Cleaners, will also be demolished for the residence hall. Phase two of expansion will ensue in the next three to five years, according to Vice President of Finance and Administration Roger Demareski. Phase two of the expansion plan involves building another dorm on McCartney Street, further toward College Avenue. In the agreement reached by the college and the four residents, Lafayette agreed to move 517 Clinton Terrace off its foundation to a different location, most likely on the corner of McCartney and Hart, Demareski said. Otherwise, it would have been demolished in the second phase of expansion.